“And then I told them, I said listen, you might want to meet my friends,” he said with a grin and lifted his fists. “These are my gun friends.” The big guy swayed into the door and Lenora bit back a laugh. He’d been easy to find, this big lunk of a guy. She’d ridden her bike as far as she could go on quarter of a tank, found the darkest bar on the dustiest road, and tapped the biggest man in the room on the shoulder. Lenora moved fast. She used Loaf like the tree he was and aimed a solid kick to the green guy’s head. It stunned him, it, just long enough for her to give Loaf a subtle push so that he laid against the hood of the truck. “Just stay there, big guy.” And she went back to work. He was easy to kill, all in all. The greener they are, she thought as her stomach rolled at the sight of his dangling eyes, the more rotten the flesh and the slower they became. It was the newly dead, diseased, that moved the fastest. She swung her small body through the air and within seconds, she had her arms, thankfully covered, around his neck. She twisted her grip and he wilted in her arms like a flower, slide through her legs and onto the dirt. “Yeah.” She fixed her eyes on Loaf’s and put her hands on his shoulders. Once caught in her gaze, he couldn’t look away. “You killed him, big guy. You saved me. We were walking out to my bike and he came out of nowhere and you sobered up enough to take him down.” She waited until his eyes got that look, that glazed over look she knew so well, one that said he believed her. And inwardly she sighed. It took no special powers to convince a man he was a god. “Thanks.” You served your purpose, she thought. One more dead and they’d never know it was her. When she came for them, they wouldn’t even see it coming. Can we talk candidly for a second? I’m wondering how you feel about something. I think I’m starting to fall out-of-love with Bon Appetit. Is it me? Is it just me? Can someone just tell me if I’m losing my mind? I just… I can’t take another city guide to Portland, OR- city guides for Portland are the magazine equivalent of Lady Gaga covers of Vogue (EVERY. YEAR. MULTIPLE). Or another star-struck interview with some celebrity who doesn’t, uh, actually eat anything (Gwyneth! ON THE COVER. I can’t). Or see one more picture of a bearded chef with his arms crossed (congrats guys, you all look EXACTLY THE SAME NOW.) Why does Andrew Knowlton fill more than half the magazine? Why don’t they write articles anymore? Why do the recipes increasingly look like outtakes from a Portlandia sketch? BA isn’t for home cooks anymore, it feels like it’s for restaurant groupies. Which… ugh. I love Anthony Bourdain, I think he’s entertaining and great… but he doesn’t inspire me to cook. He just doesn’t. BA feels like it’s being written for him, not me. I miss Julia Child. I miss… connections to reality. Why does more cooking-world look SO DIFFERENT than theirs? Why is it so much closer to this- why does THIS person feel so relevant and revolutionary and IT and why do the online people seem to be the only people who realize it? Anyway. Rant over. Pumpkin bread now. 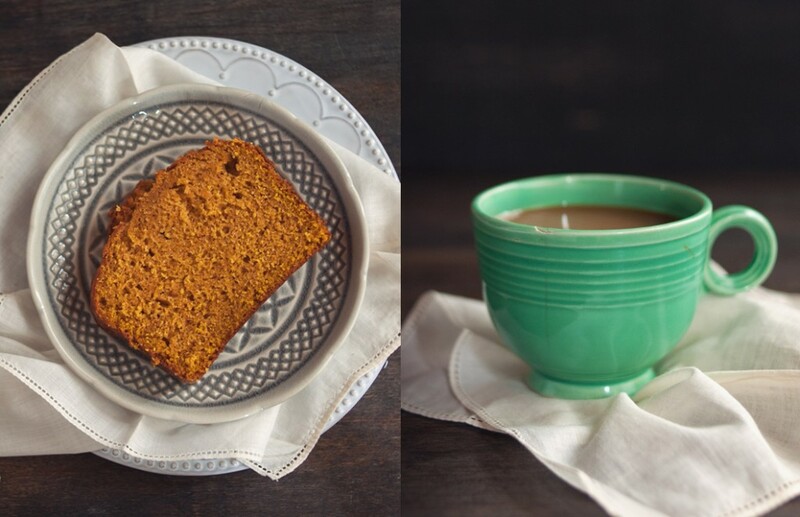 Spiced pumpkin bread. 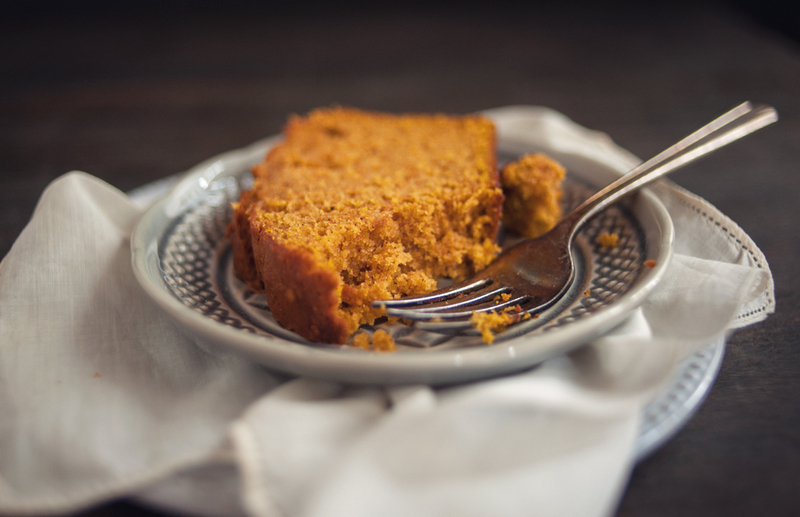 Not our first quick-bread for fall and certainly not our last. It’s just simple and good. It’s seasonal. It’s warm. It’s love. ( You can find utensils that will help you and find the Top 10 Best Bread Loaf Slicers). No really it is- this recipe makes two loaves, one for you to eat and one to give away. You should go forth and do so. Ranter’s orders. 2. Butter and flour two 9x5x3-inch loaf pans. 3. In a large bowl, beat sugar and oil to blend. 4. Add eggs and pumpkin to sugar/oil and mix. 5. In another large bowl, sift flour, cloves, cinnamon, nutmeg, baking soda, salt and baking powder. 6. In 2 additions, stir flour into pumpkin mixture. 7. Mix in walnuts, if desired. 8. Divide batter equally between prepared pans. 9. Bake until tester inserted in center comes out clean, about 1 hour and 10 minutes. 10. Transfer loaves to racks and cool for 10 minutes. Use a sharp knife and cut around loaf edges. Turn loaves out onto racks and cool completely. Three words: PRETENTIOUS DINNER PARTIES. Every issue has one now. As if the rest of the magazine doesn’t make it seem like your skills in the kitchen will never be good enough, now you have to serve ROSEWATER MARSHMALLOWS to your guests after dessert or they’re never coming back. Is Bon Appetit a food magazine? I don’t know it – but yes Gwyneth Paltrow as a foodie is just irritating. I feel your pain ! I agree about Bon Appetit. I’ve been waffling back and forth about canceling my subscription, but it was a gift from my husband the first year we were married and it’s been my go-to source for recipes until they changed editors. I don’t even mind the Portland fixation so much (my brother and sister-in-law just moved there and I can’t wait to visit). It’s just that there isn’t anything in the magazine that jumps out and begs me to make it. I used to star almost every single recipe and now…meh. Every once in a while an issue will make me think they’re back on track, but I don’t know how much longer I’ll give them. 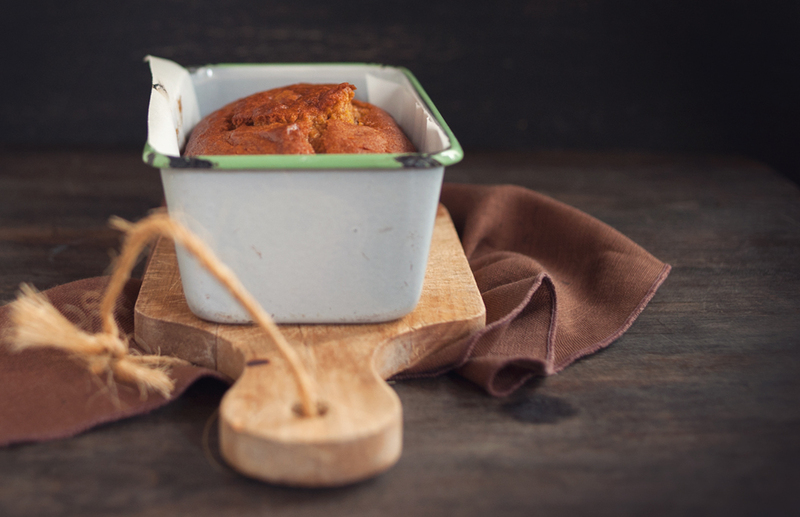 This pumpkin bread, however, is a winner! A: I LOVE your scary October stories…soooo fun! B: This bread looks fantastic! BA is certainly heading that way sometimes it seems, although I’d say I’m much more out of love with F&W if I say so myself… just a bit too stuffy and pretentious for me. At least BA still includes recipes I would actually make, rather than F&W which tends to have recipes that I feel like I should hire someone to make FOR me (after going on a hunt for 2394823 random ingredients). Although, I do tend to over exaggerate sometimes. I’m really thinking of not renewing ANY of my subscriptions, I don’t think I’ve touched any of the magazines I’ve received within the last month or two /sigh. As for this loaf, it looks DIVINE. and moist. and heavenly. and everything I could ever want in a pumpkin loaf. YUM! I just finished making this and it was a success! The only variation I made was adding a splash of vanilla in with the eggs step – not sure I taste it but it never hurts to add vanilla to anything! A fail free recipe to keep for sure! Yes, yes, yes! I’m so glad it’s not just me. Whenever I used to get a new BA issue, I couldn’t wait to cook at least 12 different recipes from it. Now, sad truth be told, it sometimes sits on the coffee table for days before I even open it!! It just feels much to trendy. I just want delicious food. 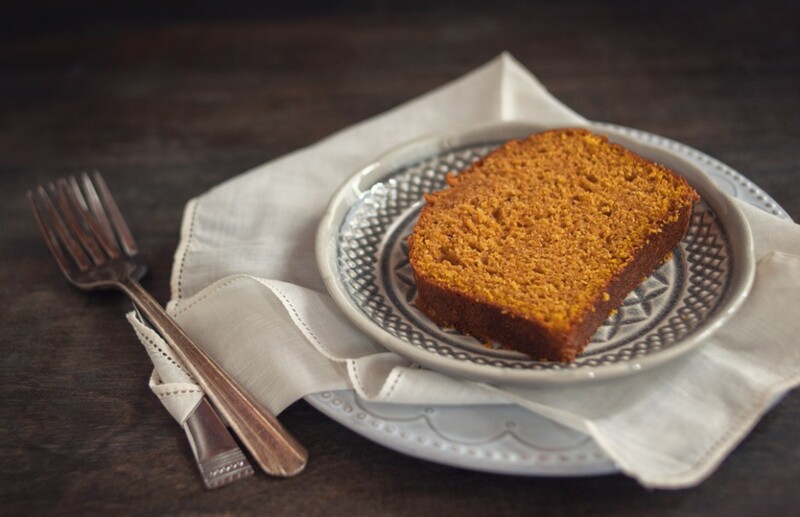 Spiced Pumpkin Bread. I have been making this for years with and without nuts. Grandchildren love it. It is a fall staple at my house.